4 – Who’s the boss? Incorporating multiple font combinations into one design is a tricky business. 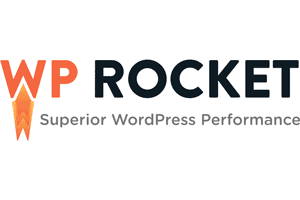 Get it right, and your poster, website or flyer design will become so much more dynamic. Get it wrong, and things start to look messy. Pairing fonts together require a deft touch and a keen eye – all the makings of a sophisticated graphic designer. That said, here are some tips and tricks you can follow to ensure success with your font combinations. For starters, always look for font pairings that compliment one another. 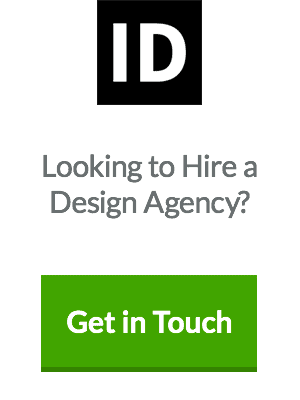 The last thing you want is for both fonts to be fighting for the viewer’s attention. The ideal combination should harmonise, without risking being too similar. The whole idea of using multiple fonts is to create visual diversity, so there’s no point choosing two that are broadly identical. In fact, the more similar they are, the more likely they will clash. Equally, two very different fonts could be in danger of pulling your design in opposite directions. The idea is that, if you get the combo right, the viewer is almost unable to notice what you have done. Then you know you have found a pairing that rolls off the eye. So when it comes to font combinations, the golden rule is as follows: compliment or contrast, but never conflict. The most straightforward way of guaranteeing that a font pairing works perfectly is by using different fonts within the same typeface family. Some fonts are members of ‘superfamilies’, which means they come along with a selection of different weights, styles and classifications that are specially designed to work together. For example, the Avenir superfamily includes the following sub-fonts: Avenir Heavy, Avenir Medium, Avenir Light, Avenir Next, Avenir Bold, Avenir Condensed, Avenir Roman, and Avenir Oblique, all of which come in italic, bold and regular. Any font combinations will work well together, so by keeping it in the family, you cannot go wrong. As with colours, typefaces will often conflict if they are too similar (imagine pairing hot pink with dark red). Two ever-so-slightly different fonts will rarely work together. Contrast, when done right, is about finding surprising and bold oppositions in style, that brings out the best in each other. Combining serif with sans serif is a classic move. It is the salt and pepper of the font world. Serif fonts are slightly more old-fashioned and traditional (examples include Times New Roman and Garamond) and always have strokes at the edges of letters. By contrast, sans-serif fonts are sleek and modern (examples include Futura and Helvetica) and never have strokes, opting instead for clean lines. A strong superfamily will include serif and sans serif variations of the same typeface, as is the case with Lucida and Lucida Sans. If you find a superfamily that includes both serif and sans serif, then you have got yourself a ready-made contrast package for font combinations. The most important thing when combining two very different fonts is establishing a clear hierarchy between the two. One should ideally be more prominent than the other. This can be achieved by varying the size and weight of each typeface or even incorporating colour into the mix. Try an eye-catching, 30pt title in white sans-serif Futura, with a subtle, neutral grey, 12pt subtitle in serif Garamond. 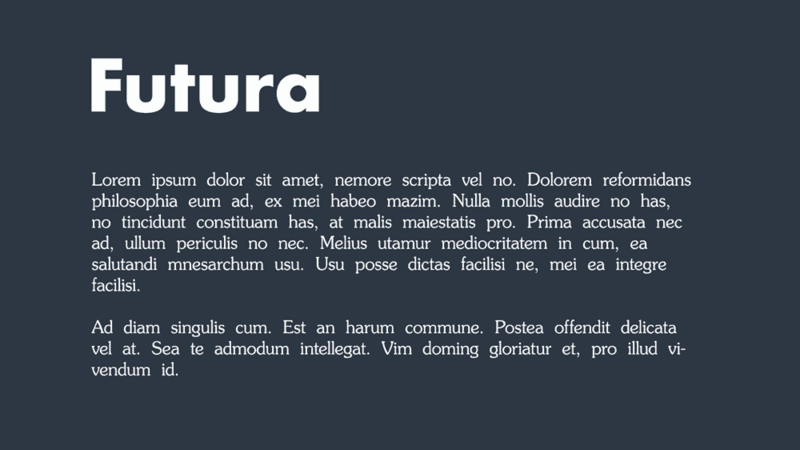 This will undoubtedly present Futura as your primary font, and Garamond as your go-to alternative for detail, extra information and support. So now you are clued in on our hot tips. These four simple rules will provide you with visual harmony in most situations. 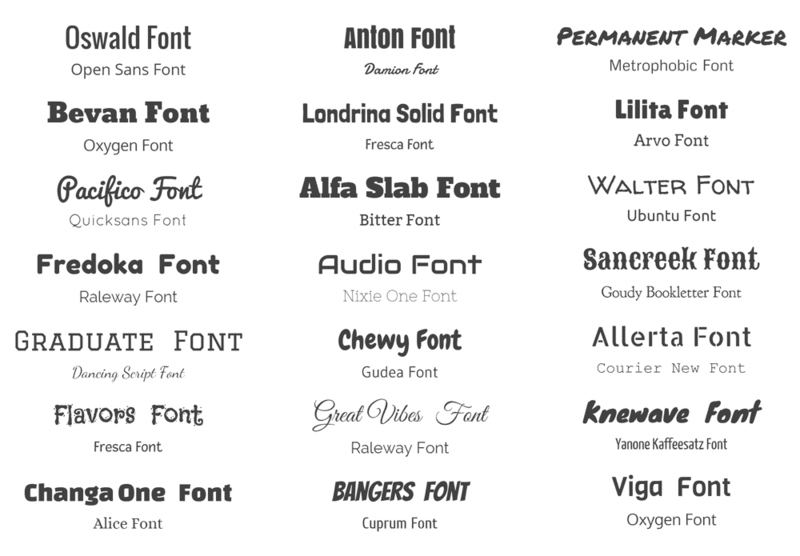 However, with such a diverse world of professional typefaces (and a growing range of free fonts) to choose from, how can you possibly choose just two? Let alone two that work together! 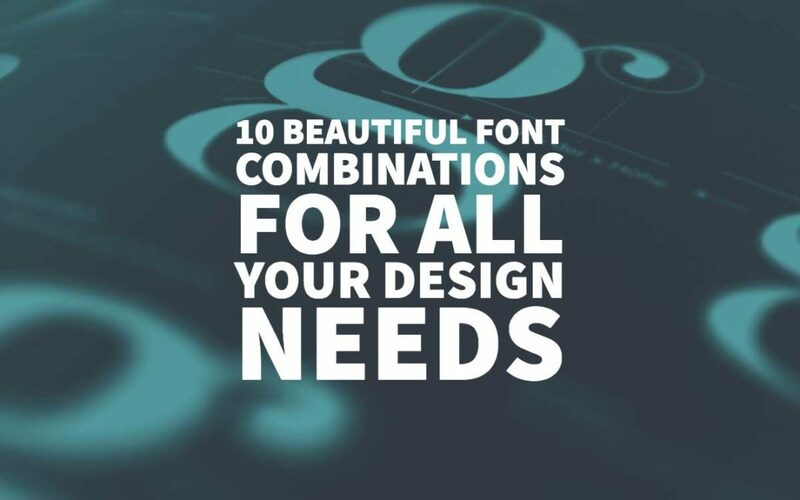 We are here to bring you ten perfect font pairings, to suit all your design needs. Mixing two such strong typographic personalities is a risk that rarely pays off, as they end up fighting it out. However, somehow this pairing works. Allan Haley described Souvenir as being “like Times Roman dipped in chocolate” – it is playful, goofy and light. It was created in 1914, envisaged as a kind of a throwback to earlier Art Nouveau models. In contrast, Futura is bold, optimistic, and serious, concerned with modernism and forwardness. Following Bauhaus principles of futurism, Paul Renner created Futura in 1927, emphasising geometric forms; hence we find within each letter near-perfect circles, triangles and squares. So here we have two very different typefaces, from two different time periods, created for almost different purposes, that somehow bring out the best in each other. The slightly innocent smile of Souvenir plays into the strident personality of Futura in a way that lightens the mood of the both. The font combination makes for a clean and quirky pairing that’s instantly pleasing. One of the classic slab serifs, Rockwell was designed by the Monotype Corporation in 1934 and has a tremendous amount of personality and attention-grabbing potential when used in bold. 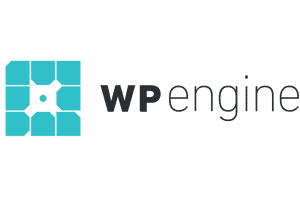 It has a very geometric quality too – think of it almost like the serif Futura. Bembo is a neutral yet versatile serif; sleek, light and conservative. It is thin, yet elegant, as though it is made of bamboo. 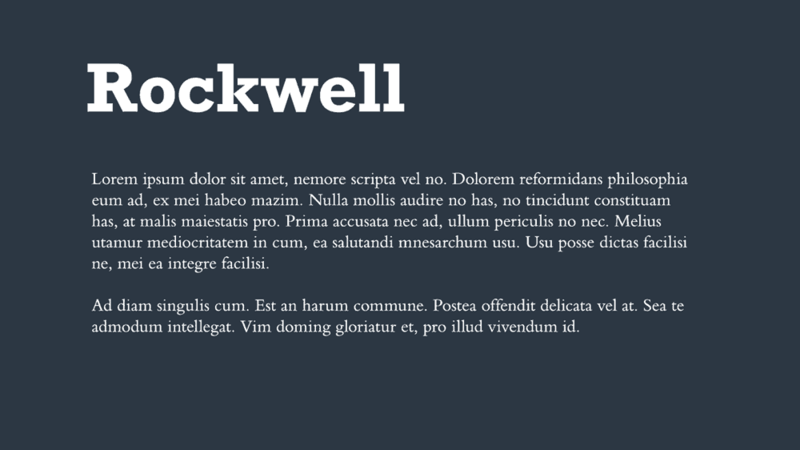 Try using Rockwell Bold for your headlines, titles, and website buttons. Bembo will slot perfectly beneath as a subtitle, body text or detail for one of the best font combinations. This is a notoriously compatible duo. 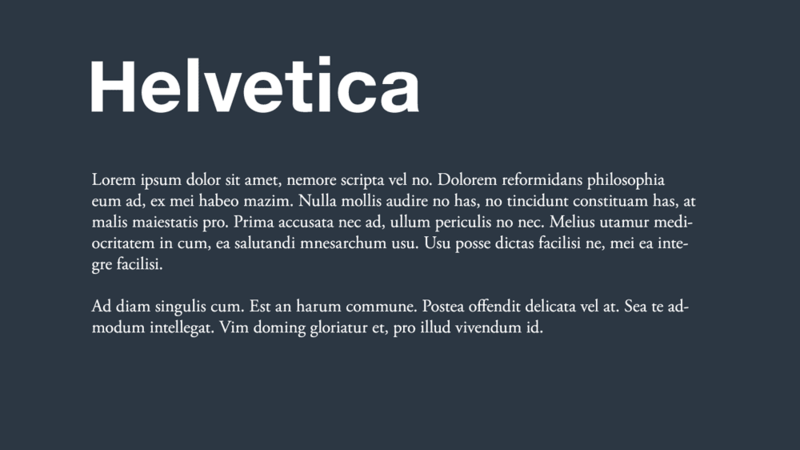 By using the timeless favourite Helvetica Neue for headlines, and the classic Garamond for text, you are inviting the reader into a world of elegance, tradition and classiness. Font combinations of a neo-grotesque sans-serif and an old serif is a safe bet and works exceptionally well in corporate contexts. If you opt for different weights and sizes, you will be able to establish a friendly hierarchy between the two neutral families. It is clear, crisp and traditional. The increasingly ubiquitous serifed Minion Pro does impeccable work as a headlining font in this delicious pairing. Designed in 1990 for use in the Adobe suite, and inspired by late Renaissance-era type, this font is the child of two parents; the pinnacle of modern creative design (Adobe) and the most important artistic era in human history (the Renaissance). Coupled with the elegant sans-serif Super Grotesk, these two fonts carry a modern sense of classical beauty with minimal effort. This is a classy combination indeed. 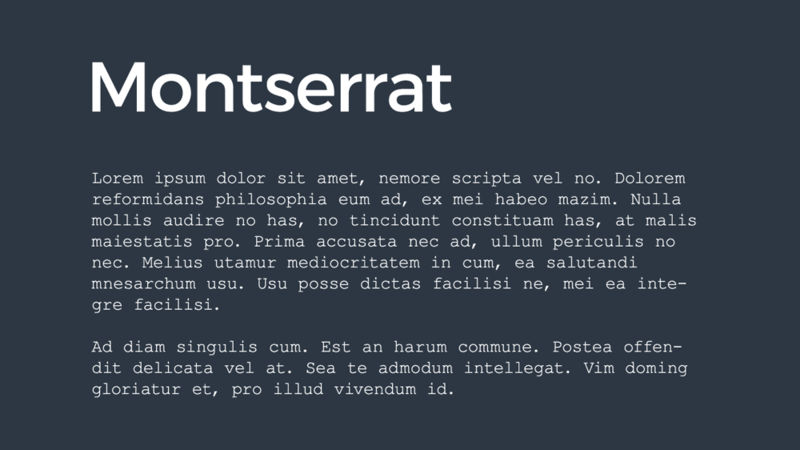 Montserrat is a Google font, meaning it was created very recently, specifically for use online. Since its creation, it has become incredibly popular and widespread. You will see it all across the internet, on stylish websites, blogs, and Instagram posts. The reason for its astronomical success is simple: it is a nimble, sleek, sans-serif typeface that is perfect in almost any context. How exciting then, as one of the top font combinations for Montserrat – the poster child of online typefaces – with the instantly recognisable font of the classic typewriter, Courier New. This pairing is quite literally the best of the old and the new. The thick inkiness of 20th-century type brings a natural weight to the sleek, almost intangible lightness of 21st century online lettering. This is a perfect font combination if your brand or product also straddles both past and present, and you want to signal that you are keeping ahead of the curve, without cutting ties to the past. There’s a clue in the name of “Playfair Display” – any typeface with the word display in its title is usually designed for larger use, such as headlines. Playfair Display is a great option when you want to go larger, and it retains an effortlessly modern look for a Serif style font. 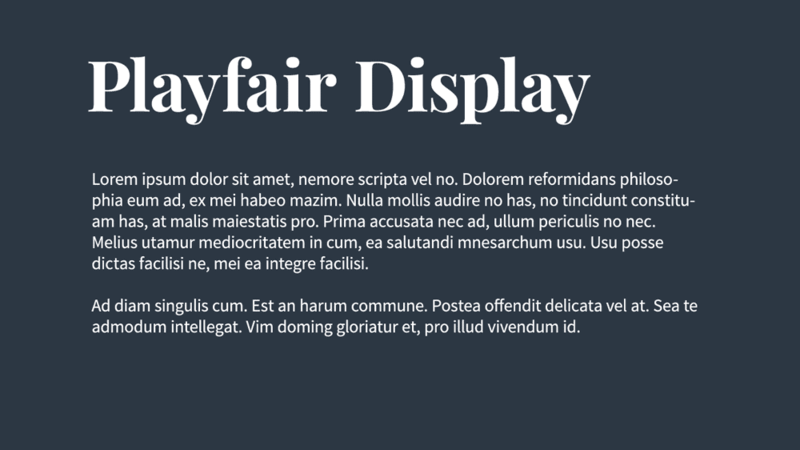 According to its designer, Playfair Display was inspired by 18th-century letterforms that emerged during the transition from feather-based quills to steel-tipped pens. With this in mind, it is hardly surprising that the font evokes such old-world charms but with a hint of modernism. Add into the mix Source Sans Pro, and we start to push things that bit further into the present, creating an enticing combination that is discrete while still being very functional. Playfair Display is a great way to add that personal touch to something like a tagline, slogan or product description. Its ampersand and currency symbols are unrivalled, so it is the ideal choice if your product or service is built upon luxury and classiness. By combining it with Source Sans Pro, you will be able to keep your text grounded in a modern and clean presentation, that is inviting and easy to read. This is one of the great font combinations, albeit one that’s more on the light-hearted side of chic. With that in mind, this pairing may not work in every context, but if you are going for gentle whimsy, then the mixture of Amatic SC and Josefin Sans is sure to stand out. While this is not necessarily the right selection for a corporate context, it does work well if you are an artist, musician or entertainer, looking to convey a unique personality. It is free-spirited, fun-loving and easy-going. Depending on the style and tone (as well as the subject matter), this combination could work well for a blog. In any case, don’t use Amatic SC as your main body text (your readers will go mad). Amatic SC is for the titles and headlines, while Josefin sans is for use as body text; be it short taglines, longer paragraphs, or even prose. As you can see by now, we were not lying when we said that sans serif plus serif is a classic font combination. It is the best way to achieve contrast without conflict. Here we have another excellent example of this tried and tested move; Century Gothic and PT Serif. 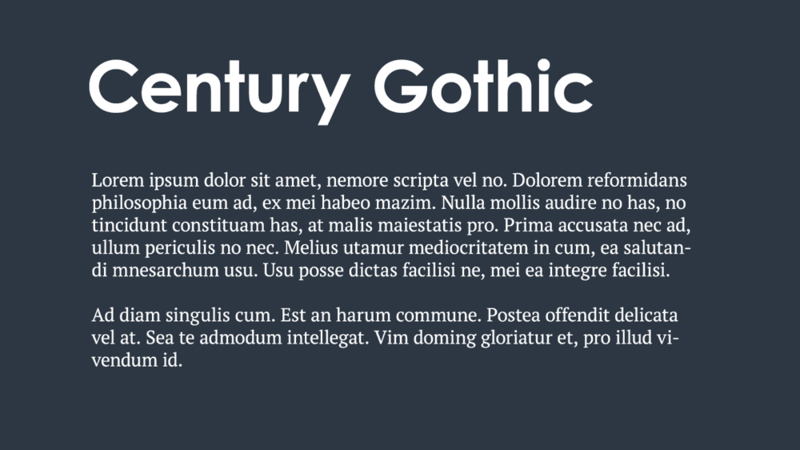 Century Gothic owes a lot to Futura. It is very much knowingly inspired by the classic art deco font, but with very subtle differences. Luckily these differences are enough to set Century Gothic apart from Futura, who (in large part thanks to Wes Anderson) has become incredibly common. 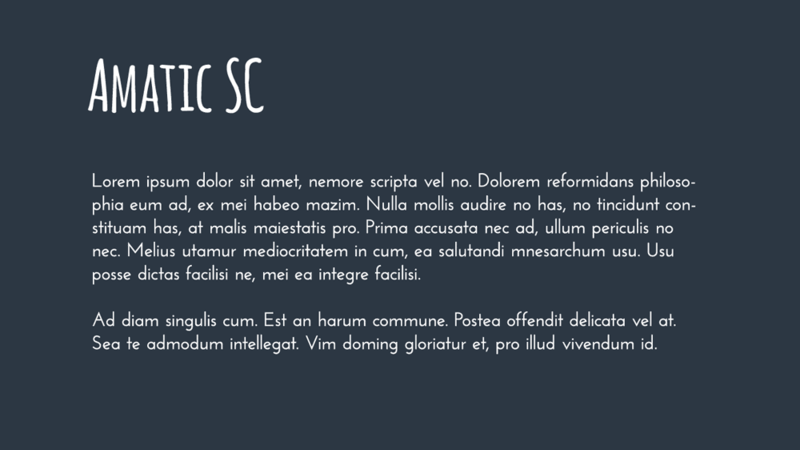 PT Serif is an excellent serif typeface, and it never fails to work well as paragraph text. These two fonts have real chemistry; a smart choice if you want a classic pairing that isn’t overused. 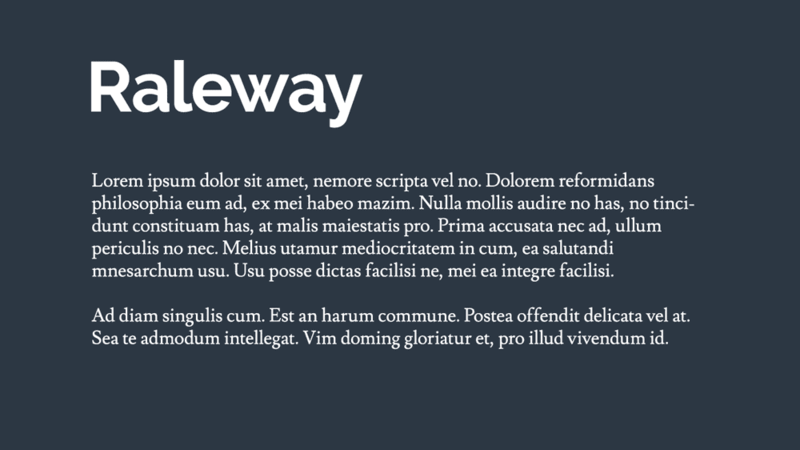 Here we have a pair of beautiful free fonts from Google in the form of Raleway and Lusitana. An elegant font that has lots of practical applications, Raleway puts the funk into functional. Lusitana is warm, welcoming and down-to-earth. Combine the two, and you have a dynamic that always works. 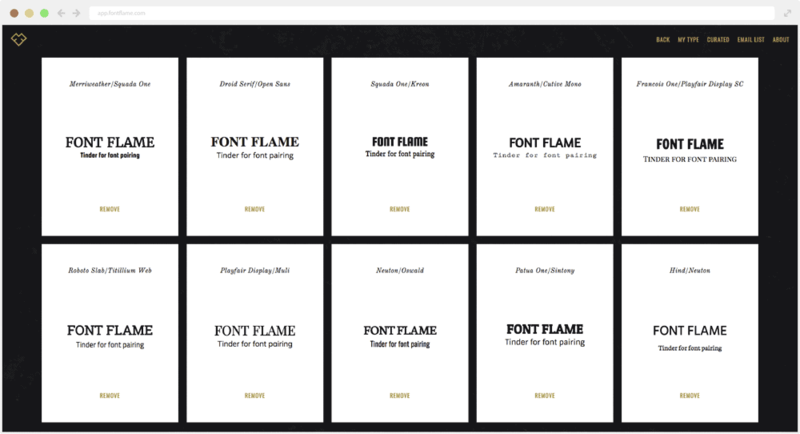 Bear in mind that by using two Google fonts, you are straying into the realm of contemporary online aesthetics. The reader can often tell that these are new, because we subconsciously recognise older fonts, even if we cannot identify them by name. There’s something about these fonts, which have never been made into an actual foundry type, which makes them feel like digital newcomers. This is perfect if you want to look sleek and modern, but not so good if you are branding as long-standing and authentic. Times New Roman is so widely used (it is a standard font on Microsoft Word) that it is rarely found in web designs these days. Primarily because most graphic designers go for newer (and free-er) typefaces in their plans. That said, it is important not to forget about Times New Roman, or throw it to one side like an old toy that has been overplayed. It is still a great typeface; it is a highly readable, classic serif, that will also bring a sense of familiarity and tradition to your design. 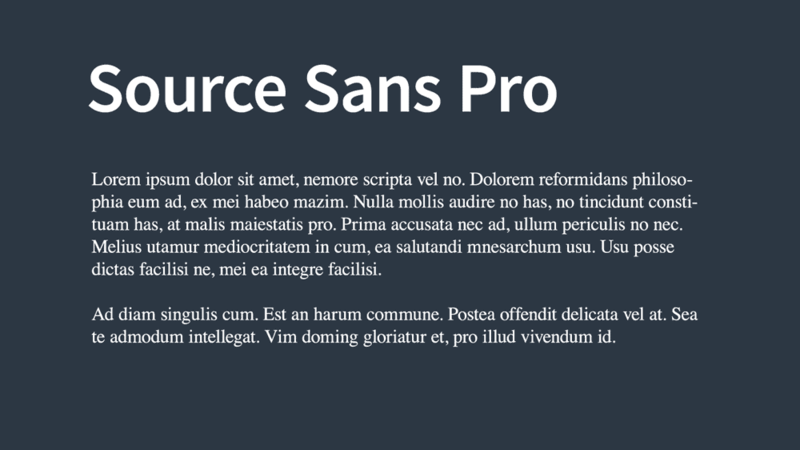 Source Sans Pro is a slightly more modern typeface, which works nicely alongside Times New Roman, primarily if you are marketing a brand that’s timeless, familiar and conventional. Combining fonts is a risky business, but one that can pay off with great rewards. Here we have ten beautiful, ready-made font combinations that are sure to delight in a variety of contexts. Whether you are going for old-fashioned or contemporary, friendly or professional, we have got the duo for you. Also, remember, beautiful fonts make for beautiful brands. If you are feeling bold, and you want to create your own font combination, just follow our guidelines: compliment or contrast; never conflict. Look for bold oppositions (the more variety, the better) because minor differences clash. Establish a hierarchy using weight, size or colour – and when in doubt, you can always fall back on a trusty superfamily. Bear these rules in mind, or use one of our favourite font combinations as inspiration, and you will be well on your way to typeface mastery. Author Bio: Chris Collins is the Head of Marketing at ChilliPrinting, a leading online printing company that offers cheap and premium-quality offset printing products in the USA. 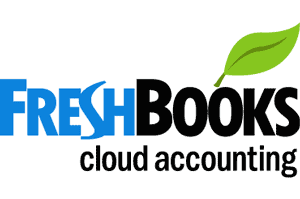 He is in charge of online and offline marketing strategy, customer relationship management and support. If you want to read more marketing and design tips, feel free to visit the ChilliPrinting Blog or follow them on Facebook, Twitter and Instagram. Here is the one thing people get wrong all the time: “In fact, the more similar they are, the more likely they will clash.” Basically, you have to maximize the distinction. If you don’t, your pairings start to get into the uncanny valley, where something is just off and you can’t put your finger on it. Based on choosing two very different fonts, Futura and Souvenir oddly work together don’t they?